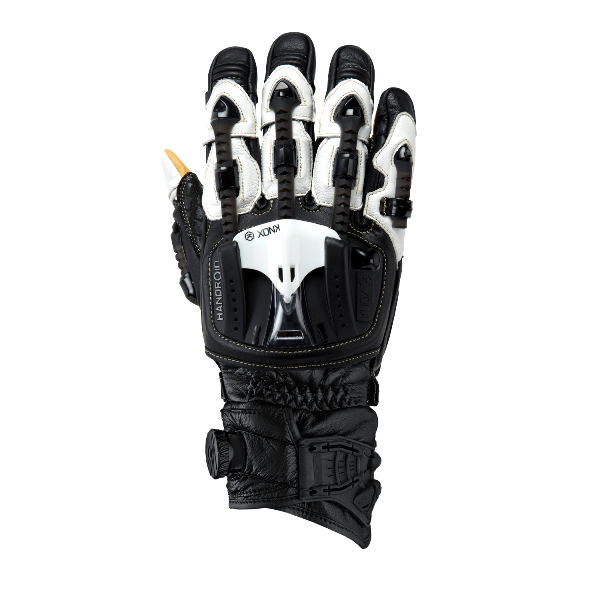 The Handroid Pod glove has been upgraded for this season, and Knox have developed it and turned it into the MKIII. The ‘box’ seams now replace the previous ‘pinch’ seams on the fingers, and the joins are set between the fingers, to make the fingertip section stronger and more comfortable. An extra outside seam increases the Kangaroo leather palm area, and accordion stretch panels are also incorporated on the fingers for added flexibility. Protection remains at the core of the Pod’s design, and alongside Knox’s own stringent testing and quality control, the MkIII carries full CE certification as standard.